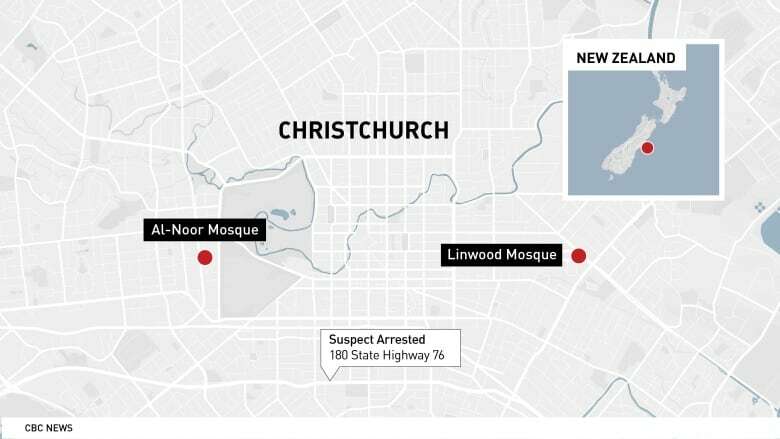 The massacre of worshippers at two mosques in Christchurch, New Zealand, has been described by the country's police commissioner as an "unprecedented, abhorrent event" that's being investigated as a terrorist attack. Here is what we know so far about what happened. 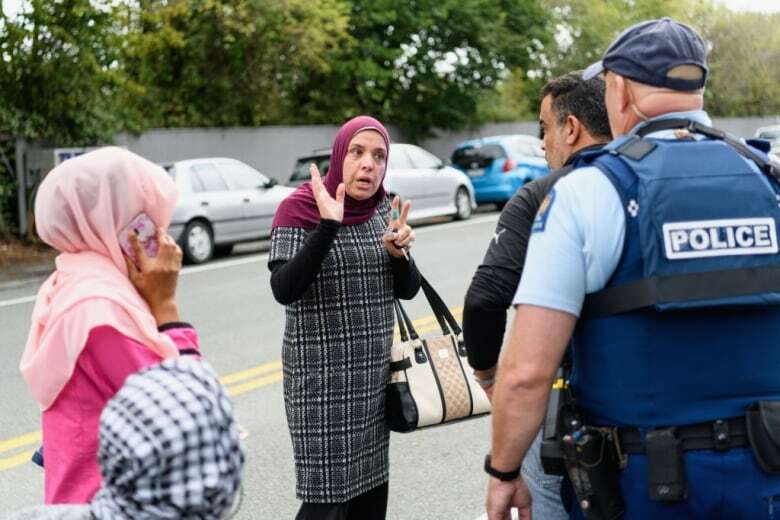 The massacre of worshippers at two mosques in Christchurch, New Zealand, has been described by the country's police commissioner as an "unprecedented, abhorrent event" that's being investigated as a terrorist attack. Here is what we know so far about what happened during the worst mass shooting in the country's history. 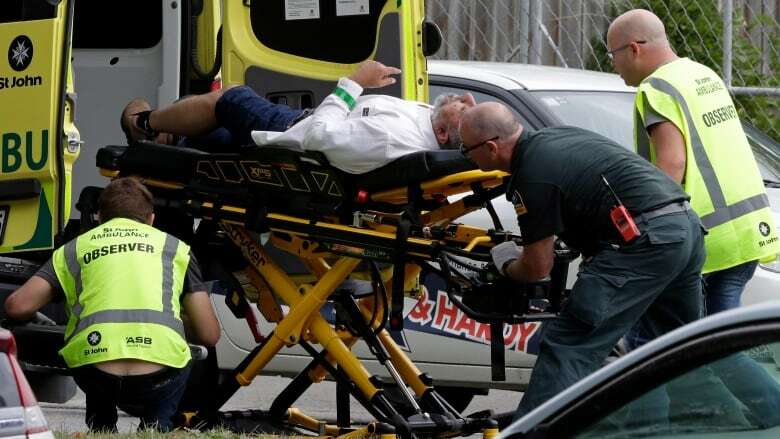 50 people shot dead in attacks at two mosques. 50 people injured, including a four-year-old child in critical condition..
Brenton Terrant, 28, an Australian citizen and professed white supremacist, charged with murder. He was remanded in custody and is due back in court April 5. Police said they think the three other people arrested after the shooting were not connected to the gunman. One was released, and the other two were charged with firearms offences, the New Zealand Herald reported. 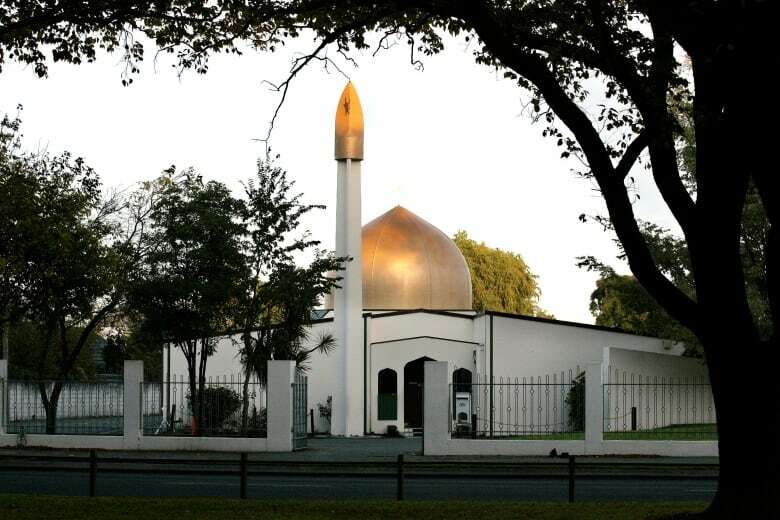 The shootings took place at Al-Noor Mosque and the Linwood Islamic Centre during Friday afternoon prayers. Police recovered several guns from the mosques, and two explosive devices from a vehicle. The New Zealand Red Cross has published a list of missing persons on its website with names from countries including: Afghanistan, Bangladesh, India, Jordan, Pakistan and Saudi Arabia. Ardern called it a terrorist attack and said it was "one of New Zealand's darkest days." 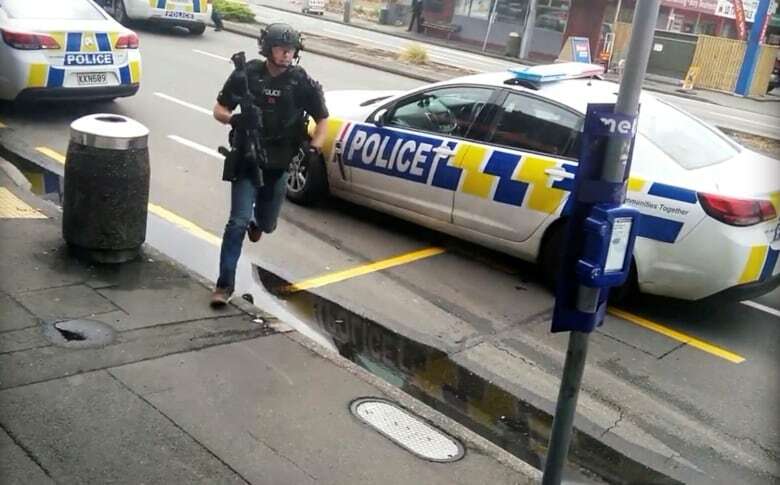 The first and most deadly of the shootings occurred at the Masjid Al-Noor, a mosque in central Christchurch, at around 1:40 p.m. local time Friday. Mohan Ibn Ibrahim was among the large crowd gathering for afternoon prayers. In an interview with CBC News Network, he said the gunman opened fire from the main entrance. Ibrahim, who was on the right side of mosque, said he heard a hard, fast sound that he initially thought was an electrical short-circuit. When he realized it was gunfire, he ran out the side door and raced to the parking lot. Others did the same. As he fled, the gunfire continued to ring out. "It was happening for 10 to 15 minutes, continuous shooting," he said. Another man who said he was at the Al-Noor Mosque told media the gunman was white, blond, and wearing a helmet and a bulletproof vest. Ahmad Al-Mahmoud said the gunman burst into the mosque as worshippers were kneeling for prayers. "He had a big gun ... he came and started shooting everyone in the mosque, everywhere," said Al-Mahmoud. He said he and others escaped by breaking through a glass door. 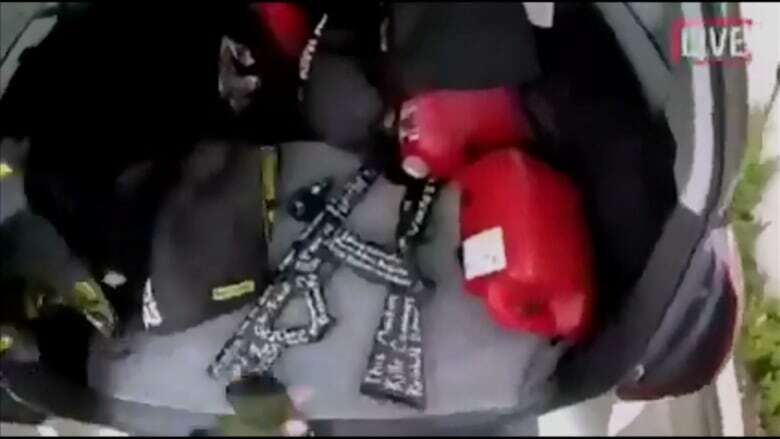 Video footage that appeared to have been captured by a camera strapped to the gunman's head showed him driving as music played in his vehicle. The footage was streamed live on Facebook as the attack took place and shared on platforms like YouTube, Twitter, Whatsapp and Instagram. After parking, the gunman took a semi-automatic weapon from the trunk of his car and walked a short distance to the mosque, where he opened fire. Over several minutes, he repeatedly shot worshippers, leaving more than a dozen bodies in one room alone. The video shows the gunman firing at people huddled inside several rooms in the mosque for about two minutes, then he walks outside and fires multiple times in the parking lot and again when he gets onto the street, aiming at people in the distance. He then goes back to his car and gets another firearm from the trunk, dropping the first on the ground. He walks past the mosque and fires several times down a road at the side of the building. On the video, he can be heard saying, "Looks like we won't get the bird today, boys." Then he re-enters the mosque, past bodies on the ground in the entryway, and shoots again at people he had shot earlier, huddled and lying on top of each other at the sides and corners of the rooms inside. One man, with blood still on his shirt, said in a television interview that he hid from the gunman under a bench and prayed he would run out of bullets. The video shows the gunman leaving the mosque and firing at a woman in a black hijab who is lying at the side of the road crying for help. He then walks back to his car and drives off at high speed, intermittently firing from his car. Witness Len Peneha said he lives next door to the mosque and saw the gunman run outside. When the shooter was gone, Peneha went into the mosque to try to help the victims. After police arrived, Ibrahim and others who had escaped through the yard and climbed the wall started to make their way back to the main entrance, which had been barricaded by the officers, he said. Ibrahim said he saw a woman and young girl dead on the ground. Authorities say 42 people were killed at Masjid Al-Noor. "Pray for us to be safe around here ... I can't believe my eyes, what I just saw." During the second shooting at nearby Linwood, about five kilometres east, seven people were killed. One more person died later at Christchurch Hospital. Syed Ahmed was in the front row as the imam started prayers. He told CBC's As it Happens that he heard the first gunshots ring out from outside the window to his right. "I heard three or four shots, and people started falling down and everybody started to take cover," he said. Ahmed said a group of elderly worshippers sitting in chairs along a wall were the gunman's first targets in the mosque. "I mean, they couldn't move, and they were shot." According to what fellow worshippers later told him, Ahmed said someone in the mosque tried to overpower the gunman from behind, prompting him to drop his gun and run away. Video of police arresting one of the suspects shows officers surrounding a vehicle that had been struck by a police cruiser. The takedown occurred on the side of a road to the south and midway between the two mosques. Police said the investigation extended 360 kilometres to the south, where homes in Dunedin were evacuated around a "location of interest." It was later reported that police had been searching the home of the alleged gunman, Brenton Terrant.